CALORIES...What are they? How much should you eat? How many does the food you eat have? They are definitely the buzz word when it comes to eating healthier or losing weight. All the fad diets, books and articles of the past 30 years always seem to focus on them. 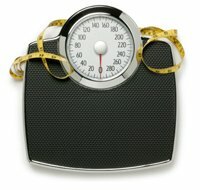 Which is unfortunate as it has led to calorie counting and restriction of certain foods. They are the fuel or energy we get from our food for our bodies to function. The number of calories you need each day depends on your age, gender, and activity level. Maintaining a healthy weight is dependent upon the amount in (eaten) vs. the amount out (burned) throughout the day. It is important to go beyond just the number. You also need to be aware of the quality and timing you consume. To get free nutrition and fitness tools to calculate calores needed and burned, go to Beachbody to sign up for FREE access. When it comes to how to cook and eat healthier, they play a key role…but it is a huge topic to cover. So we will include further information as part of our blog posts and newsletter. A Meal Plan is a great way to ensure you don't consume too many. Be sure to check out our Meal Plan Benefits section. How Many Should You Consume? This is dependent upon how much we weigh, how much muscle mass we have and how active we are. As mentioned, this is what fuels your body to function...whether it is just breathing, your heart beating or an exercise routine like running. The standard used to base our caloric needs is 2,000 per day. Is The Active Calorie Diet for you? Click the book image below to read more.